В данной статье представлены промежуточные результаты многоцентровой наблюдательной программы по применению 6-месячной депо-формы лейпрорелина ацетата (Элигард 45 мг). Основная цель исследования – подтверждение эффективности и безопасности препарата Элигард 45 мг у больных раком предстательной железы (РПЖ) в рутинной клинической практике российских онкоурологов. Через 12 мес гормональной терапии препаратом Элигард 45 мг у большинства пациентов было достигнуто значимое снижение уровня простатического специфического антигена (ПСА) на фоне адекватной супрессии уровня тестостерона ниже кастрационного значения 20 нг / дл. Уровень ПСА в сыворотке крови снижался в среднем на 82 % (с 41,4 до 7,65 нг / мл). Уровень тестостерона < 20 нг / дл был достигнут у 89 % больных, получавших препарат Элигард 45 мг. Анализ качества жизни пациентов с РПЖ, проходящих терапию препаратом Элигард 45 мг, показал улучшение данного показателя на фоне лечения. Таким образом, промежуточные результаты многоцентровой наблюдательной программы подтверждают хорошую переносимость и эффективность 6-месячной депо-формы препарата Элигард 45 мг в отношении супрессии уровней ПСА и тестостерона в сыворотке крови в рутинной клинической практике у больных РПЖ. 1. Состояние онкологической помощи в 2014 году. Под ред. А.Д. Каприна, В.В. Старинского, Г.В. Петровой. М.: МНИОИ им. П.А. Герцена, 2015. 236 с. [Cancer care status in 2014. Eds. by: А.D. Kaprin, V.V. Starinskiy, G.V. Petrova. Мoscow: P.A. 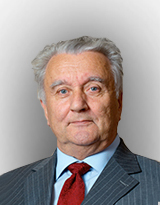 Herzen МSROI, 2015. 236 p. (In Russ.)]. 2. Guidelines on Prostate Cancer. European Association of Urology (EAU). 2015. 137 p.
3. Eisenberger M.A., Blumenstein B.A., Crawford E.D. et al. Bilateral orchiectomy with or without flutamide for metastatic prostate cancer. N Engl J Med 1998;339(15):1036–42. 4. Akaza H., Hinotsu S., Usami M. et al. Combined androgen blockade with bicalutamide for advanced prostate cancer: long-term follow-up of a phase 3, doubleblind, randomized study for survival. Cancer 2009;115(15):3437–45. 5. Schmitt B., Bennett C., Seidenfeld J. et al. Maximal androgen blockade for advanced prostate cancer. Cochrane Database Syst Rev 2000;(2):CD001526. 6. Tsushima T., Nasu Y., Saika T. et al. Optimal starting time for flutamide to prevent disease flare in prostate cancer patients treated with a gonadotropin-releasing hormone agonist. Urol Int 2001;66(3):135–9. 7. Klotz L., Boccon-Gibod L., Shore N.D. et al. The efficacy and safety of degarelix: a 12-month, comparative, randomized, openlabel, parallel-group phase III study in patients with prostate cancer. BJU Int 2008;102(11): 1531–8. 8. Seidenfeld J., Samson D.J., Hasselblad V. et al. Single-therapy androgen suppression in men with advanced prostate cancer: a systematic review and meta-analysis. Ann Intern Med 2000;132(7):566–77. 9. Hedlund P.O., Damber J.E., Hagerman I. et al. Parenteral estrogen versus combined androgen deprivation in the treatment of metastatic prostatic cancer: part 2. Final evaluation of the Scandinavian Prostatic Cancer Group (SPCG) Study No. 5. Scand J Urol Nephrol 2008;42(3):220–9. 10. Crawford E.D., Moul J.W., Sartor O., Shore N.D. Extended release, 6-month formulations of leuprolide acetate for the treatment of advanced prostate cancer: achieving testosterone levels below 20 ng/dl. Expert Opin. Drug Metab. Toxicol 2015;11(9):1465–74. 11. Oefelein M.G., Feng A., Scolieri M.J. et al. Reassessment of the definition of castrate levels of testosterone: implications for clinical decision making. Urology 2000;56(6): 1021–4. 12. Fizazi K., Scher H.I., Molina A. et al. Abiraterone acetate for treatment of metastatic castration-resistant prostate cancer: final overall survival analysis of the COU-AA-301 randomised, double-blind, placebo-controlled phase 3 study. Lancet Oncol 2012;13(10): 983–92. 13. Ryan C.J., Smith M.R., Fizazi K. et al. Final overall survival (OS) analysis of COUAA- 302, a randomized phase 3 study of abiraterone acetate (AA) in metastatic castration-resistant prostate cancer patients without prior chemotherapy. Ann Oncol 2014;25:iv255–79. 14. Klotz L., O’Callaghan C., Ding K. et al. Nadir testosterone within first year of androgen-deprivation therapy (ADT) predicts for time to castration-resistant progression: a secondary analysis of the PR-7 trial of intermittent versus continuous ADT. J Clin Oncol 2015;33(10):1151–6. 15. Hussain M., Tangen C.M., Higano C. et al. Absolute prostate-specific antigen value after androgen deprivation is a strong independent predictor of survival in new metastatic rostate cancer: data from Southwest Oncology Group Trial 9346 (INT-0162). J Clin Oncol 2006;24(24):3984–90. 16. Crawford E.D., Sartor O., Chu F. et al. A 12-month clinical study of LA-2585 (45.0 mg): a new 6-month subcutaneous delivery system for leuprolide acetate for the treatment of prostate cancer. J Urol 2006;175(2): 533–6. 17. Tunn U.W. A 6-month depot formulation of leuprolide acetate is safe and effective in daily clinical practice: a non-interventional prospective study in 1273 patients. BMC Urol 2011;11:15. 18. Braeckman J., Michielsen D. Efficacy and tolerability of 1- and 3-month leuprorelin acetate depot formulations (Eligard®/Depo- Eligard®) for advanced prostate cancer in daily practice: a Belgian prospective non-interventional study. Arch Med Sci 2014;10(3);477–83.